Engineers – Bridge to BIM. It’s easier than you think! Engineers - Bridge to BIM. It's easier than you think! Engineers - Bridge to BIM. It’s easier than you think! Let’s face it. Stakeholders are demanding 3d bridge models more than ever before. Between gaining stakeholder approvals with visualizations and the uncertainties of performing a multitude of disconnected and redundant tasks, reworking tedious calculations and spending time updating plan sheets when unanticipated design changes occur, adopting BIM is a must. Learn how to avoid these uncertainties and become more competitive, efficient and collaborative. Join this technical webcast to learn how to improve bridge design and analysis and integrate it with roadway designs and existing infrastructure using the most advanced software! Bentley bridge expert, Sri Kanneganti, will show you the benefits of working in a common data environment from concept and modeling to design and analysis, straight through construction, and beyond for a unified workflow throughout the entire project lifecycle. This webinar is full of information that you don’t want to miss. Adopt the BIM methodology in your next bridge project – it’s easier than you think! Reduce rework, and improve efficiencies with BIM. Sr. 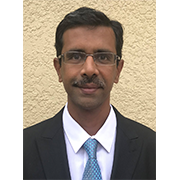 Product Manager – Bridge Bentley Systems, Incorporated Sri Kanneganti is a product manager with Bentley Systems in the Analytical Modeling Advancement Unit, with over 20 years of experience in the development of bridge design software. 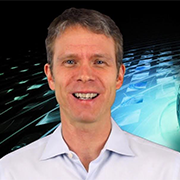 He has lead the development of several bridge design and analysis software products under the LEAP brand including most recently LEAP Bridge Concrete, is currently driving adoption of BIM practices in the bridge industry with OpenBridge Modeler. Sri has a Master’s degree in Structural Engineering from Florida Atlantic University and Civil Engineering degree from Osmania University, India.